Bacolod , officially City of Bacolod (Hiligaynon: Dakbanwa/Syudad sang Bacolod; Cebuano: Dakbayan sa Bacolod; Filipino: Lungsod ng Bacolod) and often referred to as Bacolod City, is a highly urbanized city in the Philippines. It is the capital of the province of Negros Occidental where it is geographically situated but governed administratively independent from it. Having a total of 561,875 inhabitants as of 2015 census, it is the most populous city in the Western Visayas and the second most populous city in the Visayas after Cebu City. It is the center of the Bacolod Metropolitan Area, which also includes the cities of Silay and Talisay with a total population of 791,019 inhabitants, along with a total area of 578.65 km2 (223.42 sq mi). It is notable for its MassKara Festival held during the third week of October and is known for being a relatively friendly city, as it bears the nickname "The City of Smiles". 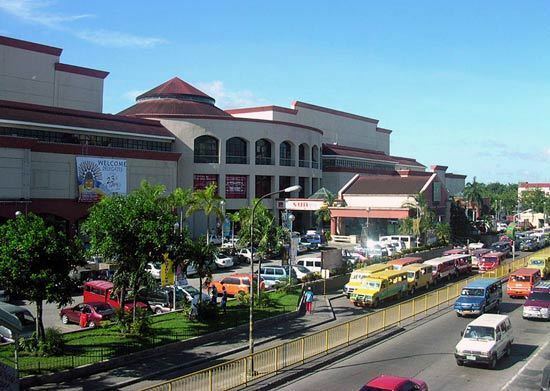 In 2008, Bacolod topped a survey by MoneySense Magazine as the "Best Place to Live in the Philippines". The city has also been declared by the Department of Science and Technology as a "center of excellence" for information technology and business process management operations. In 2012, Bacolod was ranked the most livable city in the Philippines by iKwaderno online magazine after a conducted school survey using research data and analysis. It got a high score of 85.183 while the rest of the top seven are Davao City with 84.80, Marikina with 84.32, Makati with 83.87, Manila with 83.35, Puerto Princesa with 83.03 and Cebu City with 83.00. In 2017, Bacolod is awarded as the "Top Philippine Model City" by The Manila Times. Bacolod is also famous for their piaya and original chicken inasal. Historical church accounts provide a glimpse of the early years of Bacolod as a mere small settlement by the riverbank known as Magsung̃ay (English: Magsungay). When the neighboring settlement of Bago was elevated into the status of a small town in 1575, it had several religious dependencies and one of which was the village of Magsung̃ay. The early missionaries placed the village under the care and protection of San Sebastián (English: Saint Sebastian) sometime in the middle of the 18th century. A corregidor (English: magistrate) by the name of Luis Fernando de Luna, donated a relic of San Sebastián for the growing mission, and since then, the village came to be known as San Sebastián de Magsung̃ay. In 1846, upon the request of Msgr. Romualdo Jimeno, bishop of Cebu and Negros at that time, Gobernador General (English: Governor-General) Narciso Clavería y Zaldúa sent to Negros a team of Recollect missionaries headed by Fr. Fernando Cuenca. A decree of 20 June 1848 by Gobernador General Clavería ordered the restructuring of Negros politically and religiously. The following year (1849), Negros Island Gobernadorcillo Manuel Valdevieso y Morquecho transferred the capital of the Province of Negros from Himamaylan to Bacolod and the Augustinian Recollects were asked to assume spiritual administration of Negros, which they did that same year. Transfer of Bacolod to the Recollects, however, took place only in 1871. Fray Mauricio Ferrero became the first Augustinian Recollect parish priest of Bacolod and successor to the secular priest, Fr. Mariano Ávila. In 1863, a compulsory primary public school system was set up. The success of the uprising in Bacolod was attributed to the low morale of the local Spanish detachment, due to its defeat in Panay and Luzon and to the psychological warfare waged by Generals Aniceto Lacson and Juan Araneta. In 1897, a battle in Bacolod was fought at Matab-ang River. A year later, on November 5, 1898, the Negrense Revolucionarios (English: Negrense Revolutionary Army), armed with knives, bolos, spears, and rifle-like nipa palm stems, and pieces of sawali or amakan mounted on carts, captured the convento (English: convent), presently Palacio Episcopal (English: Bishop's Palace), where Coronel (English: Colonel) Isidro de Castro y Cisneros, well-armed cazadores (English: hunters) and platoons of Guardias Civiles (English: Civil Guards), surrendered. República de Negros became a U.S. territory on April 30, 1901. Negros was once again separated, reverting Bacolod to its status as the capital of Occidental Negros. A historic event took place in 1938 when Municipality of Bacolod was elevated into a city through Commonwealth Act No. 326 passed by the 1st National Assembly of the Philippines creating the City of Bacolod. Assemblyman Pedro C. Hernaez of the second district of Negros Occidental sponsored the bill. The law was passed on June 18, 1938. Bacolod was formally inaugurated as a chartered city on October 19, 1938 by virtue of Commonwealth Act No. 404, highlighted by the visit of Commonwealth President Manuel L. Quezón. President Quezón appointed Alfredo Montelíbano, Sr. as the first city mayor of Bacolod. In World War II, Bacolod was occupied by the Japanese forces on May 21, 1942. Lieutenant General Kawano "Kono" Takeshi, the Japanese commanding officer of the 77th Infantry Brigade, 102nd Division, seized the homes of Don Generoso Villanueva, a prominent sugar planter—whose home, the Daku Balay served as the "seat of power" (occupational headquarters for the Japanese Forces in Negros and all of the Central Visayan region of the Philippines) and being the tallest building of Bacolod it served as the city's watchtower—and the home of his brother-in-law, Don Mariano Ramos, the first appointed Presidente Municipal (English: Municipal President) of Bacolod. 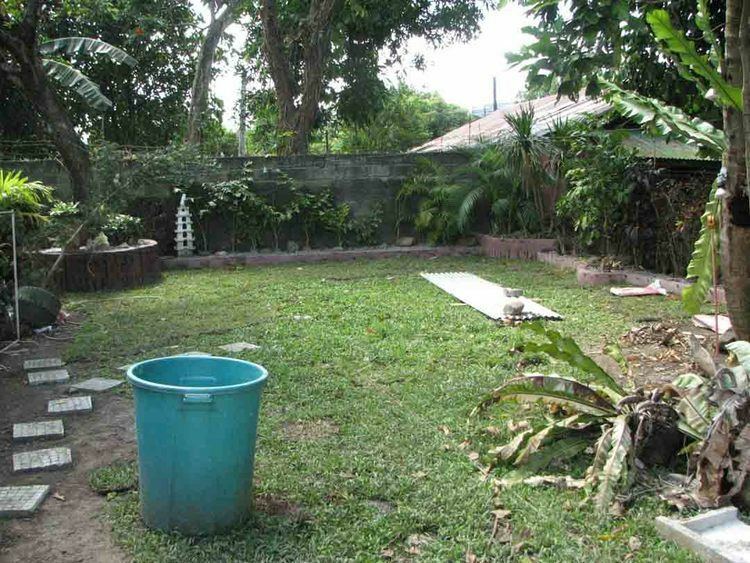 The home of Don Generoso was lived in by Lt. General Takeshi throughout the duration of the war and also served as his office and the home of Don Mariano was occupied by a Japanese Colonel serving under the command of Lt. General Takeshi. The city was liberated by joint Philippine and American forces on May 29, 1945. It took time to rebuild the city after liberation. However, upon the orders of Lt. General Takeshi, both the homes of Don Generoso and Don Mariano were saved from destruction by the retreating Japanese forces. In March 1945, upon the invasion of the American and Philippine Commonwealth forces, the withdrawal of the Japanese army into the mountains and the temporary occupation of Bacolod by the combined U.S. and Philippine Commonwealth armed forces, the house of Don Generoso was then occupied by Major General Rapp Brush, commander of the 40th Infantry Division, known as the "Sun Burst" Division, for approximately five months. The local Philippine military built and established the general headquarters and camp bases of the Philippine Commonwealth Army which was active from January 3, 1942 to June 30, 1946. The 7th Constabulary Regiment of the Philippine Constabulary was also active from October 28, 1944 to June 30, 1946 and was stationed in Bacolod during and after World War II. When the country finally gained complete independence from the United States, the city's public markets and slaughterhouses were rebuilt during the administration of then Mayor Vicente Remitió from 1947 to 1949. In 1948, a fire razed a portion of the records section of the old city hall that consumed the rear end of the building and with it, numerous priceless documents of the city. When Batas Pambansa Blg. 51 was approved on December 22, 1979 and came into effect in 1980, the chartered City of Bacolod was converted into a highly urbanized city. 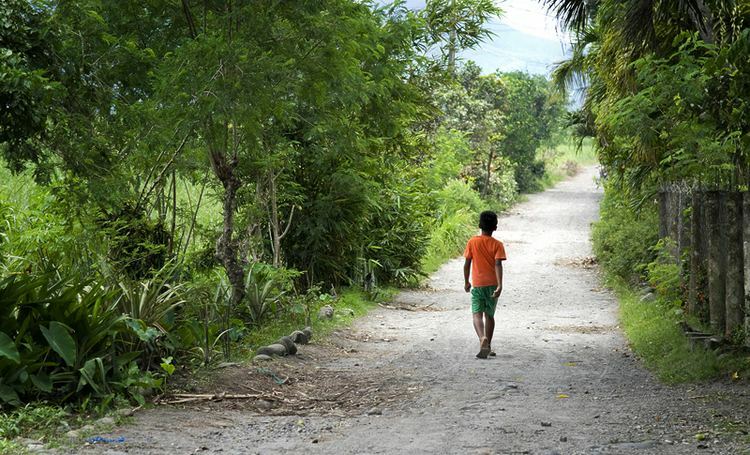 The political relations with Negros Occidental were severed and the residents effectively lost their eligibility to vote for provincial officials because of this new status. In January 1985, the original hardwood and coral structure of Palacio Episcopal was almost entirely destroyed by a fire. Among the damage of the raging fire were items of significant historical value. The reconstruction of Palacio which took more than two years, was completed in 1990. As of 2015, Bacolod has a total population of 561,875, and its registered voting population (as of 2010) is 259,786. Bacolod is the Philippines' third fastest growing economy in terms of information technology (IT) and business process outsourcing (BPO) activities. The city has been recommended by the Information and Communication Technology Office of the Department of Science and Technology (DOST) and Business Processing Association of the Philippines (BPAP) as the best location in the Visayas for BPO activities. Bacolod ranked 3rd among the top ten "Next Wave Cities" of the Philippines for the best location for BPO and offshoring according to a 2010 report of the Commission on Information and Communications Technology. In 2013, the city was declared a "center of excellence" for IT-business process management operations by the DOST, joining the ranks of Metro Manila, Metro Cebu and Clark Freeport Zone. Among the notable BPO companies operating in the city are Convergys, Teleperformance, TeleTech, Transcom, Ubiquity Global Services, Panasiatic Solutions, Focus Direct Inc. – Bacolod, Alliance Call Centre, TELESYNERGY Corp. – Bacolod, Hit Rate Solutions/Next Level IT Teleservices, Focusinc Group Corporation, Shorecloud Corporation, Pathcutters Philippines Inc., and TeleQuest Voice Services (TQVS). In 2012, a two-hectare (4.9-acre) portion of the four-hectare (9.9-acre) Paglaum Sports Complex was partitioned for the construction of the provincial government-owned Negros First CyberCentre (NFCC) as an IT-BPO Outsourcing Hub with a budget of P674-million. It is located at Lacson corner Hernaez Streets and offers up to 22,000 square meters of mixed IT-BPO and commercial spaces. Its facilities are divided into three sections — Information Technology, Commercial Support Facilities, and Common IT Facilities. It was inaugurated in April 2015 in rites led by President Benigno S. Aquino III. The area was initially a residential zone and has been reclassified as a commercial zone as approved by the Comprehensive Zoning Ordinance. Along its highways, sugarcane plantations are a typical scene. As of 2003, 7,216 hectares (17,830 acres) of the city’s 8,560 hectares (21,200 acres) of agricultural land were still planted with sugarcane. Meanwhile, 915 hectares (2,260 acres) were devoted to rice, 120 hectares (300 acres) to assorted vegetables, 100 hectares (250 acres) to coconut, 43 hectares (110 acres) to banana and 34 hectares (84 acres) to corn. According to the "Philippine Cities Competitiveness Ranking Project 2005" of Asian Institute of Management (AIM), Bacolod tops the list in terms of infrastructure, ahead of such other mid-size cities like Iligan, Calamba and General Santos. The city also tops the list in terms of quality of life, ahead of such other mid-size cities like San Fernando, Baguio, Iloilo and Lipa. AIM also recognized Bacolod as one of the Top Five most competitive mid-size cities together with Batangas, Iligan, Iloilo, and San Fernando. The Philippines Football League side Ceres–Negros F.C. is based in the city, playing their home games at the newly-renovated Panaad Park and Stadium. The Panaad Park and Stadium is a multi-purpose stadium in the city. It is currently used mostly for football matches. It is the home stadium of Philippines Football League team Ceres–Negros F.C. It was used for the 2005 South East Asian Games and was the venue of the pre-qualifiers of the 2007 ASEAN Football Championship or ASEAN Cup. The stadium has a seating capacity of 15,500, but holds around 20,000 people with standing areas. It is unofficially designated as the home stadium of the Philippines national football team. Aside from the football field, it also has a rubberized track oval, an Olympic-size swimming pool and other sports facilities. The stadium is also the home of Panaad sa Negros Festival, a week-long celebration participated in by all cities and municipalities in the province held annually every summer. The festival is highlighted by merry-making, field demonstrations, pageant and concert at the stadium. The stadium itself features replicas of the landmarks of the 13 cities and 19 municipalities of Negros Occidental. The plaza is the celebrated place of MassKara Festival. It is a week-long festival held each year in Bacolod City every third weekend of October nearest October 19, the city's Charter Anniversary. Bacolod public plaza is the final destination of MassKara street dancing competitions which is the highlights of the celebration. The Capitol Park and Lagoon is a provincial park located right in the heart of Bacolod, Negros Occidental, in the Philippines. One of the landmarks of the park is the carabao (water buffalo) being reared by a woman. This carabao is located at the northern end of the lagoon. On the southern end, there is also another carabao sculpture being pulled by a man. Locals are known to feed pop corns, pop rice, and other edible delicacies sold within the park to the fishes in the lagoon. Banago Wharf and BREDCO Port are the vessels entry point in Bacolod. It has daily access to Iloilo, with different shipping lines such as 2GO Travel (as relaunched in 2012), Weesam Express, Ocean Jet, Montenegro Lines, Jomalia Shipping and Tri Star megalink. There were also access routes to Puerto Princesa via Iloilo City, Cagayan de Oro, General Santos, Zamboanga City, Cotabato, Butuan via Cagayan de Oro route, Dipolog, Iligan, Ozamiz, and Surigao City via Cagayan de Oro route. As of 2012 to present, SuperFerry and Negros Navigation was relaunched into 2GO Travel routes from Bacolod going Manila, Iloilo and Cagayan de Oro. Bacolod is 18–23 hours from the Port of Manila, 2-3hrs from Dumangas Port and 45 minutes-1hr from the Port of Iloilo. Bacolod has two main roads, Lacson Street to the north and Araneta Street to the south. The city has a good traffic plan lay-out and very seldom has traffic jams. The streets in the downtown area are one way, making Bacolod free from traffic congestion. Recently, Bacolod City is experiencing an increase in traffic congestion due to an increase in number of vehicles. By land-ferry, Bacolod is approximately 45 minutes to an hour directly from Iloilo City while by land-RORO-land, Bacolod is approximately 3 hours from Iloilo City via Dumangas route. By land-ferry-land, Bacolod City is approximately 4 hours and 30 minutes from Cebu City via Toledo-San Carlos/Salvador Benedicto route while it takes approximately 6 hours by land-RORO-land via same route. By land-RORO-land, Bacolod is approximately 7 hours and 30 minutes from Cebu City via Tabuelan-Escalante, Toledo-San Carlos/Escalante and Toledo-San Carlos/Canlaon routes. Bacolod to Dumaguete via Mabinay route is approximately 6 hours while via Cadiz-San Carlos route takes approximately 8 hours, both routes going Negros Oriental.